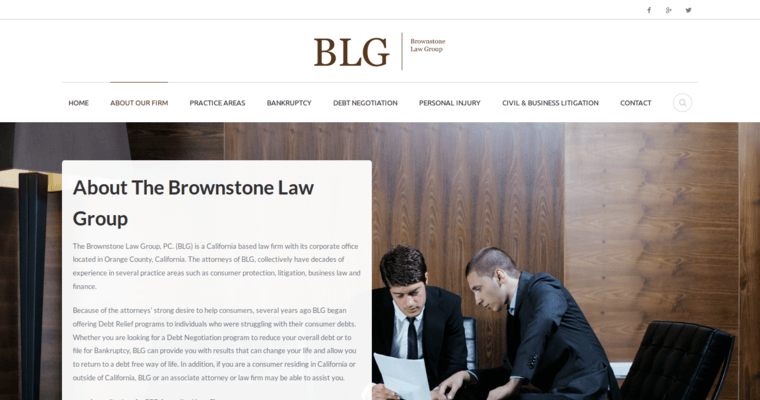 Brownstone Law Group is a company that offers debt consolidation and settlement services for people who are struggling with credit card debt. 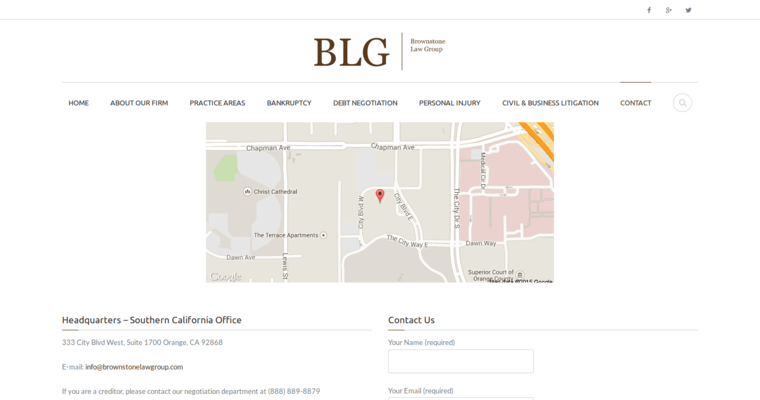 Besides assisting individuals with bankruptcy and debt negotiation, they also offer services for civil business litigation and personal injury. 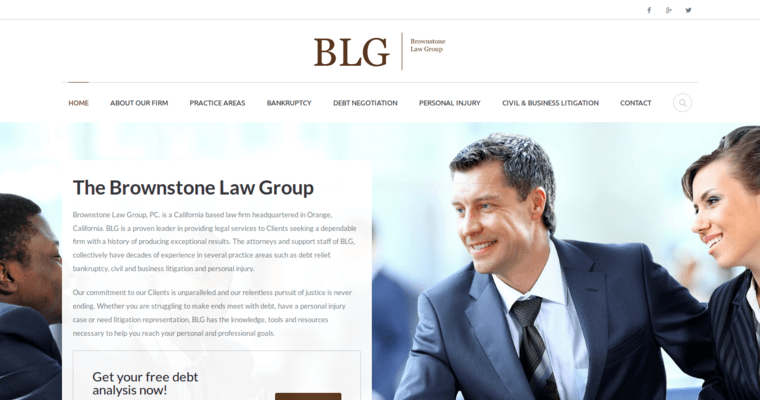 Located in Orange, California, Brownstone Law Group is accredited by the Better Business Bureau and is licensed by the State Bar of California. They serve a variety of locations in many surrounding areas, including San Diego, Los Angeles County, and Orange County. Since each individual case is unique, the company offers personalized service and a confidential review of each client's situation.